In addition to a #ThanosDemandsYourSilence PSA from directors Anthony and Joe Russo (above) earlier this month, Marvel also released a 'Say No to Spoilers' video featuring cast members like Robert Downey Jr., Chris Evans, Chadwick Boseman, Mark Ruffalo, and Tom Holland being "interrogated" for information about the movie. 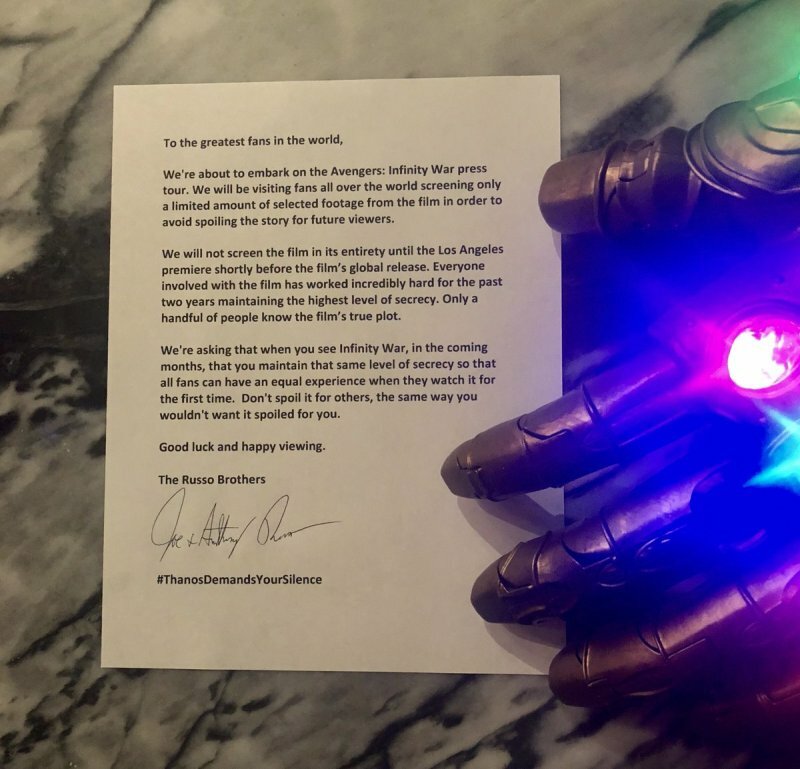 To give you an idea of how far Marvel went to maintain the shroud of secrecy, literally none of the cast members even saw the full movie before it officially premiered in LA on Monday, 23 April. The directors even gave "fake scripts" to the cast - especially Tom Holland - to throw them off the scent of the true plot. Having seen the movie already, I feel particularly strongly about letting fans and moviegoers experience the anticipation and excitement for themselves. I gotta say though, it definitely lived up to the hype - checks off all the boxes of what you'd expect from a Marvel movie, but also comes with a bunch of surprises that you don't see coming until it's almost too late. For one, it's considered piracy and therefore, illegal. For two, you can also get 'Likes' and reactions by posting your movie ticket or checking in your location and activity. For three, why the heck are you on your phone while you're in the cinema?! 2. 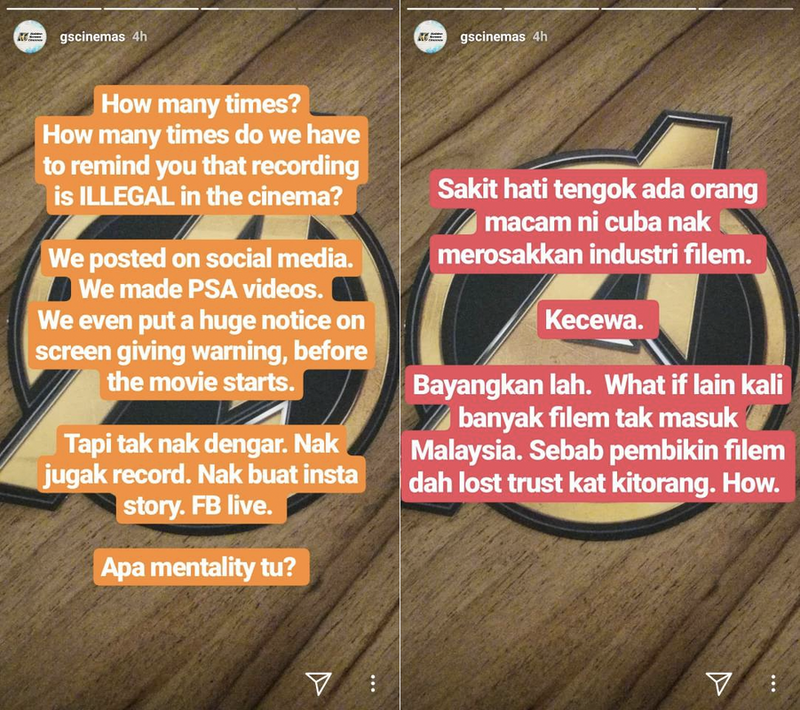 Please don't post spoilery plot points on Insta Stories or Snapchat. Simply because it disappears after 24 hours, doesn't mean it's the lesser of two evils. 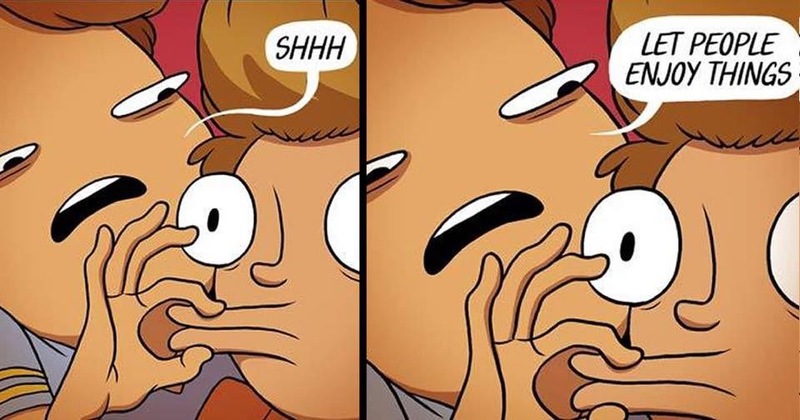 Thank you for being considerate enough to not post it on a permanent spot like your Facebook page or Twitter feed, but it's actually worse to be pelted by spoilers on Insta Stories 'coz your friend actually chose to tap into it. 3. It's totally okay to express how you feel after watching the movie. Just... maybe keep the synopsis and "predictions for Avengers 4" to yourself. I'm sure none of you are like this, but in the very unlikely event that you do this for poop and giggles... your life has to be pretty sad that you derive satisfaction from something as petty as ruining things for people. 5. Sure, no one's ever died after seeing spoilers, but do remember that these "snowflakes" are fans who've waited 10 years (maybe more) for this. They deserve to enjoy the movie just like you did. TL;DR - don't be a d*ck, and keep your spoilery fingers out of social media. To paraphrase a fairly old meme: Tom is smart. Be like Tom. Now share this PSA with fellow fans so we can all enjoy the movie as it should be experienced!